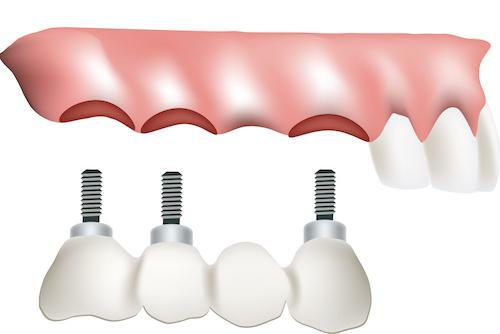 Bridge implants provide an additional level of security for your tooth replacement. Dental implants improve the stability of your missing teeth replacement. Healthy bone and gum tissue are necessary to support your bridge implants. New tooth roots are formed at the designated locations where a single implant is placed into your jawbone. Your bridge implants are not at risk of decay. It’s vital that you care for your surrounding teeth and gum tissue. Contact our Memphis dental office about your tooth loss. Schedule an oral examination to discuss missing teeth replacement with bridge implants.